Ultimately, the business grew beyond the size that was joyful for me, and I wasn't able to spend as much time with my family. It was clear that I needed to create more space so I could be more present for my family. At the same time, my career interests were being pulled in a new direction. 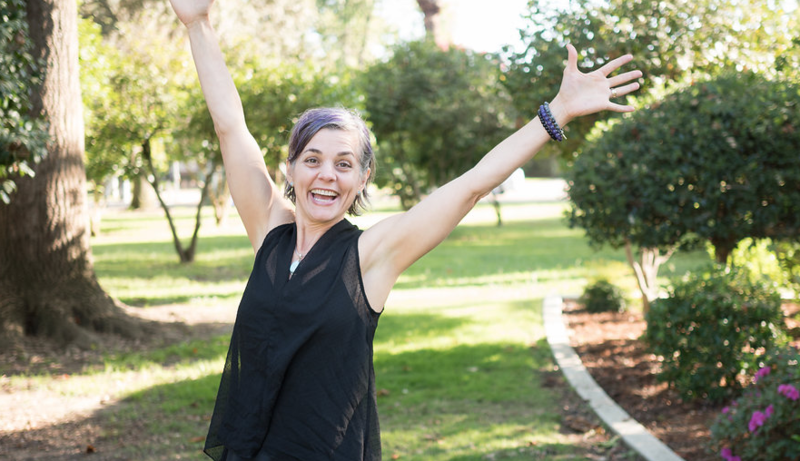 After a few years of internal stirrings, curiosity about what would be my next step, and a long gestation, in the Spring of 2015, I started crafting The 12-Day Dairy Detox: an online course to help people make their health a priority with my fantastic new business partner, Michelle Cehn. A few months later, we started homeschooling our 9-year-old daughter—one of the best parenting decisions my husband and I ever made. Everything was falling into place, but it would take what seemed like forever to get there. On September 16, 2016, I announced that I'd be hanging up my Allison's Gourmet apron. I was happily overwhelmed by the outpouring of love, support, and gratitude for my little business, and it was so fun to read all the stories of how our goodies had been shared in so many celebrations and milestones. Of course, there was also curiosity about whether I'd be selling the company. I had definitely considered and even pursued some possibilities. But after a great deal of soul-searching, I realized that I hadn’t recovered enough from my perfectionism to keep my name on a brand I'd no longer be a part of. I walked away from the "baby" I'd invested so much of myself in creating. It will always be important to me that anything that has my name on it also comes with my high standards. Restructuring my life now allows me to deepen my commitment to helping animals, people, and our precious planet. My time is devoted to homeschooling Olivia, The 12-Day Dairy Detox, my wellness and self-care coaching business, and teaching Nia classes, which I do weekly and have also offered at conferences. Here's what you can do, here, on my new website. See my popular Fridays with Friends interview series with prominent vegans. I am so grateful for all the milestones I've been honored to help celebrate by sharing Allison's Gourmet goodies over the past 20 years. My greatest hope is to stay in touch and continue to help the world. Subscribe and I'll send you some Love Letters. Deal?